Microsoft upgraded the entry-level Surface Book 2 with an 8th-gen Intel processor and twice as many CPU cores over the weekend. The Intel Core i5-8350U offers four cores and eight threads of processing power. It should provide a significant step up in multi-threaded performance compared to its predecessor, which packed a 7th-gen Core i5 chip with just two physical cores and four threads. The older model is still being sold at a discounted $1,299 price point with 256GB of storage and 8GB of RAM, or $1,149 with 128GB of storage. Aside from the small, but significant CPU spec bump, the new 13.5-inch Surface Book 2 sticks to the familiar formula of what we called “the ultimate laptop” in our review. While we (obviously) haven’t tested this refreshed version yet, we praised the original for its all-day battery life, absolutely stellar display, and superb all-around performance. This new $1,499 8th-gen Core i5 modelRemove non-product link should pack an even bigger punch with twice as many CPU cores and threads as before—but ironically, 9th-gen Intel mobile processors are expected to launch any day now. The story behind the story: This won’t be the only Surface news bubbling up in April. Microsoft is holding a Surface event in New York on April 17 where it’s expected to reveal more details about the gargantuan Surface Hub 2. 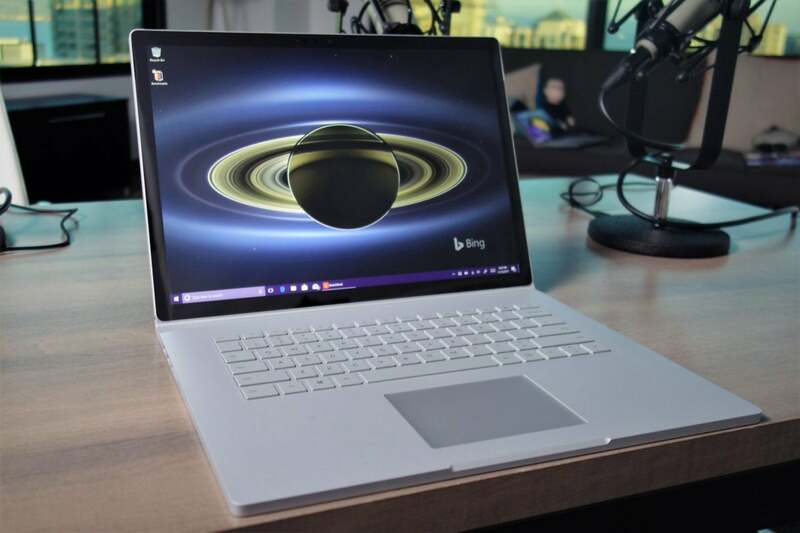 This story, "Microsoft's Surface Book 2 gains a faster quad-core Core i5 CPU over the weekend" was originally published by PCWorld.